This option comes with 2 controllers. The Inspire 1-T600 by DJI, "Creativity Unleashed" with strong, carbon fibre retractable arms for full 360 degree shooting capability. DJI's latest camera shoots in up to 4K 30fps and captures stills in 12 mega pixels. With Adobe DNG RAW support and including an aspherical element for extreme clarity. 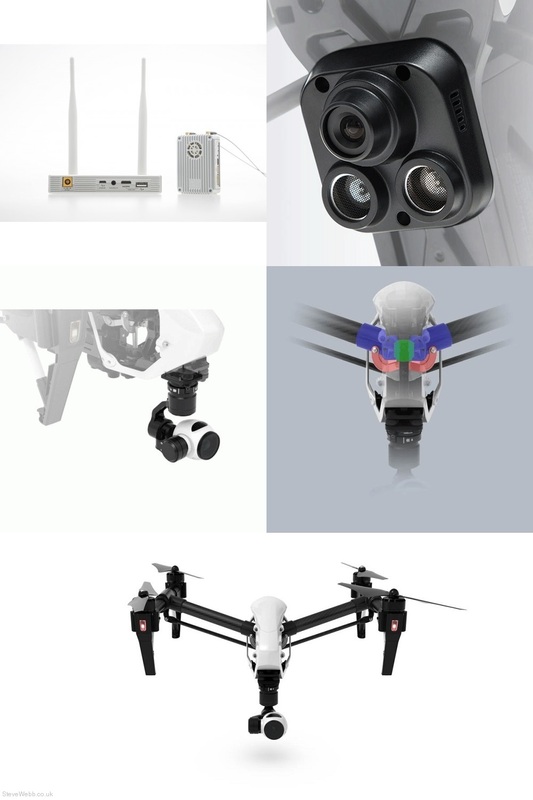 As the gimbal and camera are modular, you are able to transport and upgrade the Inspire 1 safely. 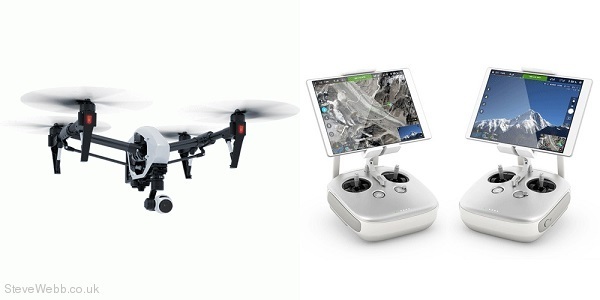 As with the larger DJI S900 and S1000/S1000+, dual operator control is available for the Inspire 1 allowing one pilot to control flight and another to control the 360 degree gimbal and camera. 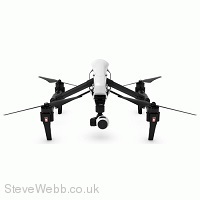 DJI's Lightbridge 2.4GHz Full HD Digital video downlink is also included for optimal FPV flying. With the innovative Vision Positioning System, you are now able to fly indoors. The Optical Flow technology provides extremely accurate position holding even without GPS being available. The Vision Positioning System determines your Inspire 1's altitude and location, lowering the legs automatically when landing. There are two options for the battery. The standard Inspire 1 battery will provide 18 minutes of flight and the enhanced battery allowing 22 minutes. Live battery levels are shown whilst in flight as well as the estimated time to return to home, this lets you know when it is safest to fly back. This intelligent battery also advises the voltage of each cell, total lifetime charges/discharges and overall health of the battery. The Inspire 1 has a full-featured App to take control of the camera and flight system. Telemetry and auto take off/landing with more updates constantly being added.